PRINCE2® (Projects in a Controlled Environment) is a structured project management method based on experience drawn from thousands of projects and from the contributions of countless project sponsors, Project Managers, project teams, academics, trainers and consultants. Making participants oriented to globally accepted Project Management methodology. Helping participants to improve their Project Management Skills. Fostering continuous improvement in project performance. Instilling confidence to manage projects of various complexity and size. Access to full featured PRINCE2® online self learning for post workshop exam preparation. PRINCE2® Foundation Exam Mock Tests - additional quality questions that significantly help participants evaluate their preparation level. Unlimited online self learning Access for 90 days. This course is aimed at people who work on projects every day and who benefit from a working-level understanding of structured project management, as presented in PRojects IN Controlled Environments (PRINCE2). At the end of this course, you will be able to use PRINCE2 to manage a project and to pass the PRINCE2 Foundation examination. The course provides a modular and case-study-driven approach to learning PRINCE2; the core knowledge is structured, comprehensive and well-rounded modules. A case study runs through the course and relates PRINCE2 to reality by presenting real-life situations and challenges. PRINCE2 provides common processes, management products, roles, and language for use throughout an organization’s projects. PRINCE2 is the most successful project management method in the world – it has become the de-facto standard in both the private and public sectors for all types of projects. All sequencing questions will be removed from the paper and will not be used in the PRINCE2 Foundation Exam. This level aims to measure whether a candidate can apply PRINCE2 to the running and managing of a non-complex project within an environment supporting PRINCE2. To this end they need to exhibit the competence required for the Foundation Qualification, and show that they can apply and tailor PRINCE2 to address the needs and problems of a specific given project scenario. There are 8 questions in total per an Exam. Each question is worth 10 marks. The total number of marks available per an exam paper is 80. 2.5 hours allowed (no reading time has been added). 44 marks or more required to pass (out of 80 available) - 55%. PRINCE2® is flexible, adaptable, and as much as a project methodology can possibly be - friendly. PRINCE2® is a method for managing projects. It enables the Project Manager to decipher who should be involved in the Project and what the associated responsibilities should be. It provides the Project Manager with a set of processes to work through and clarifies what information needs to be gathered along the way. PRINCE2® may be similar to what you are currently using, but what it does best is pull together common names and descriptions into a structure that anyone familiar with PRINCE2® can understand, regardless of background or industry. Is PRINCE2® aimed at any particular type of project? PRINCE2® is designed so that it can be generally applied to all types of projects, be they Construction, Engineering, IT, Business, or Financial. 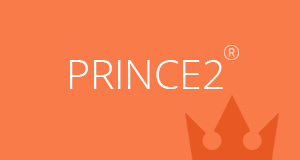 In the past, PRINCE2® has been aimed at the IT Industry and it is still well used in this area. However, significant usage has recently been seen in other industries. With over a million exams already taken globally PRINCE2® is recognized as one of the world’s most popular Project Management methodologies. What does having a PRINCE2® Qualification do for me? The PRINCE2® Project Management Methodology is the de-facto standard for Project Management in the UK and is practiced worldwide. It covers the management, control and organization of a project. Being qualified in PRINCE2® will not only boost your skills and confidence when managing projects but will greatly improve your employment prospects. Many organizations, both public and private, mandate the use of PRINCE2® and therefore require their employees to be competent and qualified in using this method. What are the PRINCE2® Qualifications? The PRINCE2® Foundation Qualification will teach you PRINCE2® principles, and terminology. Once qualified, you will be able to perform as an informed member of a Project Management Team using the PRINCE2® methodology within any project environment supporting PRINCE2®. The PRINCE2® Practitioner Qualification will teach you how to apply PRINCE2® to the running and managing of a project within an environment supporting PRINCE2®. Once qualified, you will be able to apply and fine tune PRINCE2® to address the needs and problems of a specific project scenario. You will have gained comprehensive knowledge of the relationship between PRINCE2® principles, themes, and processes and PRINCE2® products and will understand these elements. The PRINCE2® Re-Registration qualification is designed for those who have passed PRINCE2® to Practitioner level and wish to maintain their Registered Practitioner status. The PRINCE2® Examination Board has determined that all PRINCE2® Practitioners should be re-registered within 3-5 calendar years of their original Certification. However, failure to pass the Re-Registration examination after five calendar years as a Registered Practitioner will result in withdrawal of your registered status. Are there any Prerequisites before taking the PRINCE2® Exam? PRINCE2® Foundation: No prerequisite. Delegates should have some understanding of Project Management but there is no formal prerequisite for the Foundation qualification. If you require a generic Project Management course then our Introductory Certificate course may be of interest to you. PRINCE2® Practitioner: Yes, there is a prerequisite. You cannot attend the PRINCE2® Practitioner Exam until you have successfully passed PRINCE2® Foundation. Exams can be taken at any Accredited Training Organization (ATO). Redstone is qualified and permitted to conduct exams as part of your Training. Do I get my name on a list to prove I have done the exams? Axelos runs an online register to prove that candidates have passed the Foundation and/or Practitioner Exam. As an Employer, one can check the validity of an employee's PRINCE2® Certification, prior to contract or employment. However, please be aware that Candidates also have the option not to be listed. Upon completion of the PRINCE2® Foundation Training and Exam how does one become a Practitioner? Upon Completion of the PRINCE2 Foundation Exam, a two day upgrade course to Practitioner needs to be taken. This can be achieved either through an intensive classroom training course or through online self learning. We suggest the PRINCE2® Practitioners Training Program. What if I would like to take the Practitioner Training right away? In order to be eligible for the Practitioner exam you must have successfully completed the Foundation exam. This is important as the Foundation level covers all of the theory of PRINCE2®, which is essential for passing the Practitioner exam. What are the various teaching modes for PRINCE2®? As a PRINCE2 Accredited Training Organization (ATO), we conduct instructor led training in physical classrooms, online classrroms , or through online self learning. Please check our classroom, online classrrom, or online self learning section for pricing details. Please feel free to contact a member of our support team for further details. How long are PRINCE2® qualifications valid for? The PRINCE2® Foundation Certification does not have an expiry period. Candidates who pass the Practitioner exam are recognized as a "PRINCE2® Registered Practitioner". Individuals remain registered for a period of 5 calendar years. To maintain registered status, Practitioners must complete and pass the PRINCE2® Re-Registration examination 3-5 calendar years after their initial/previous Practitioner Certification. How can I promote myself as PRINCE2® qualified on my business card? Candidates who have passed the PRINCE2® Practitioner Exam can officially state they are a “PRINCE2® Practitioner” on their Resume, Business Cards, Online Profile and anywhere they feel that it may help them professionally. Candidates who have passed either of the Practitioner or Practitioner Re-Registration examinations within the last 5 calendar years can state they are a "PRINCE2® Registered Practitioner". Where can I find details on all available training courses? Further information is available on our website. Please search according to your criteria. Once you have successfully passed the Exam, Axelos provides a Certificate to all Candidate who have passed the Exam; which we immediately courier to you upon receipt. Certificates are dispatched by APMG approximately 2 weeks after publication of the results. You can take the Exam through an ATO such as Redstone, if you have completed your training with them. Alternately, APMG-International administers public exam sessions around the world. Exams can be taken through a designated Exam Center, or Online. What is our official status for PRINCE2® training? Redstone is an APMG Accredited Training Organization (ATO). What is the current version of PRINCE2® being used? The most current version is PRINCE2® -2009. Our course materials are appropriately in line with this version. What if (in the unlikely event) I don’t pass the Foundation Exam? Don’t worry. Be Happy. You have the option to retake the Exam either the same day, or you can reschedule for a more convenient date. What if I have more questions about PRINCE2®? Feel free to contact us for any additional information regarding PRINCE2®.